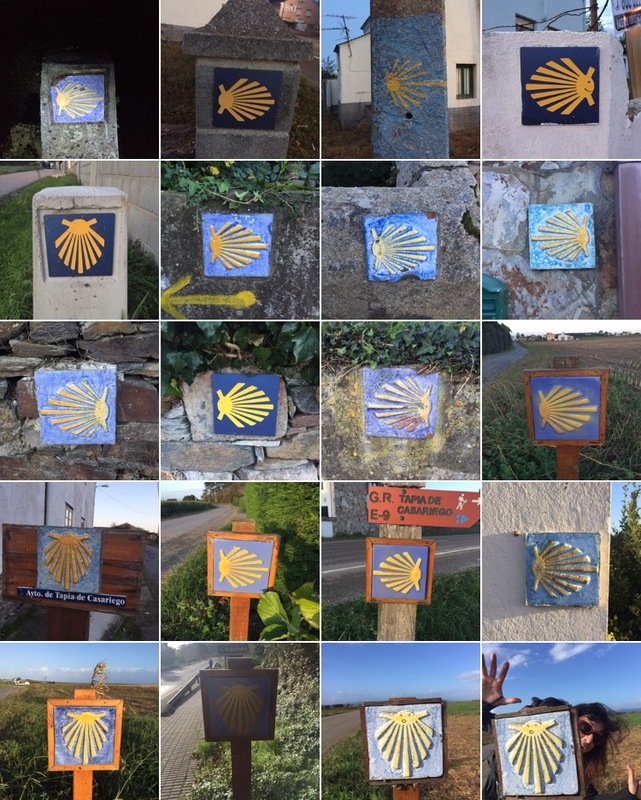 Our entire journey has been spent following the signs that lead us on the path to Compostela. Sometimes they have been simple yellow arrows spray painted on a rock, a fence, a utility pole or on the street. There have been scallop shells whose tentacles converge in the direction where we are supposed to go. And now, here in the autonomous region of Galicia, home of Santiago de Compostela, we have three-foot high granite pillars, with scallop shells, arrows and an indicator of exactly how many meters to our destination. Not kilometers, but actual meters, so if I took really long strides it could almost equal the number of steps I needed to take. We first encountered these markers in Ribadeo and the numbers were close to 200,000. Today as we entered Baamonde we crossed below the 100,000 threshold. 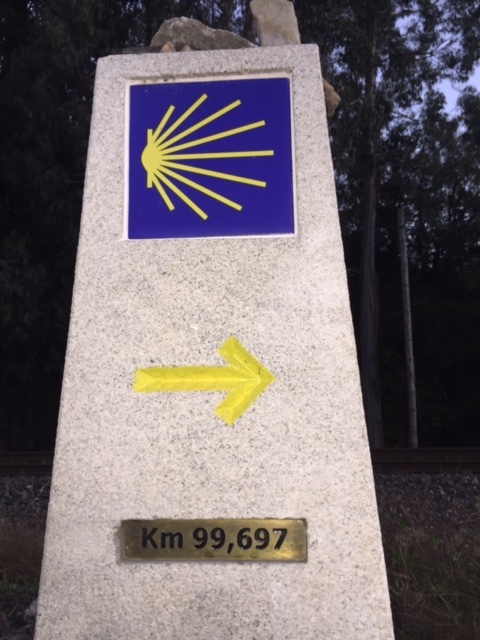 An official Camino is 100 km. We have less than that left after covering nearly 500km already. That’s more than 300 miles behind us. I am struggling with the precision in the signs. They are wonderfully frequent, so I know exactly how far we have come and how far we have to go to our intended destination. I don’t really want to know, I just want to be. That said, it is nice having some direction. Whenever we come to an intersection – which can be as simple as the crossing of two footpaths – there is usually a sign telling us where to go. Sometimes we see the signpost before getting to a crossing and other times we may be in the middle of a crossing before we have confirmation about what comes next. The signs on this part of the trail are clear, but there has been some ambiguity in days past. Sometime we have gone against the signs indication. The signs are re-assuring and we have now come to trust that they will be there and will guide us where we need to go. It has made me think about the signs that we have in life telling us where to go. Like these they have often been laid out on well worn paths. There are always options, and there are usually signs. God seems to put signs before us as well. Even when we stray from the path, God will put some new signs in our sight to steer us. We sometimes ignore the signs. Something happens when we begin to trust the signs, no longer concerned about where we will end up, and just trusting that we will be led to where we need to be. Today we were filled with a deep sense of peace in being right where we needed to be. And then we ended up at a truck stop for the night. It’s a very nice truck stop and right where we needed to be. The signs led us out of the winding narrow streets of Vilalba and through another series of farms and fields. For the first time today it looked and felt a bit like autumn. 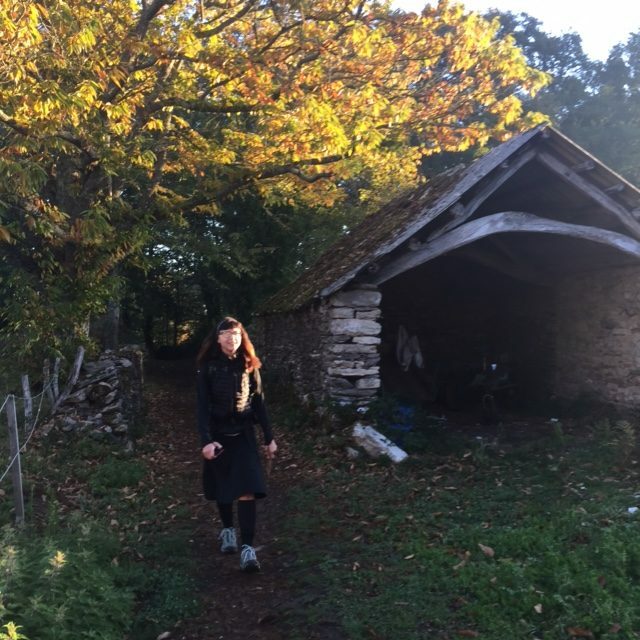 Some leaves had changed and fallen, acorns and chestnuts covered our paths, and the air was cool and crisp. 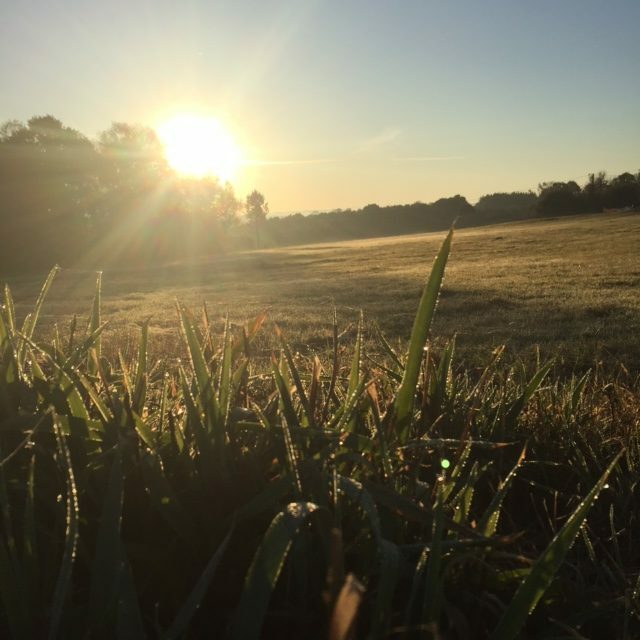 While I know that I have said farms and fields in days past, there are distinct differences in where we are each day. They diversity of the land escapes notice at 70 mph on the highway. It is something entirely different at 3 mph on foot. 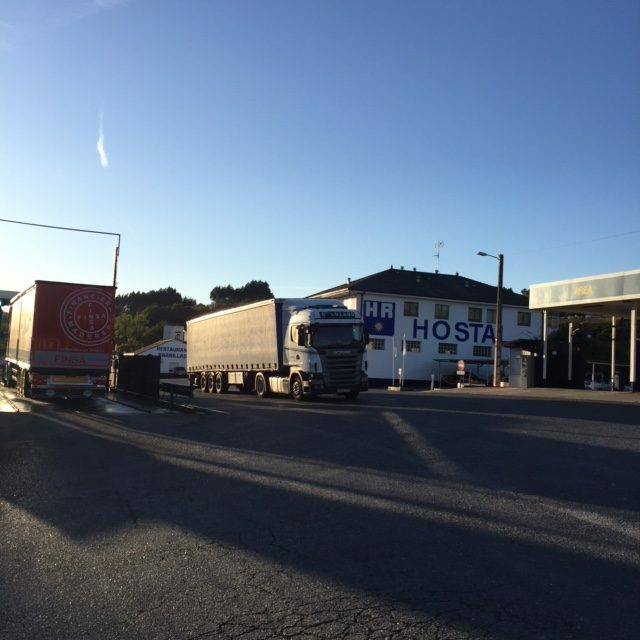 There were few options for lodging in Baamonde and we picked the truck-stop. 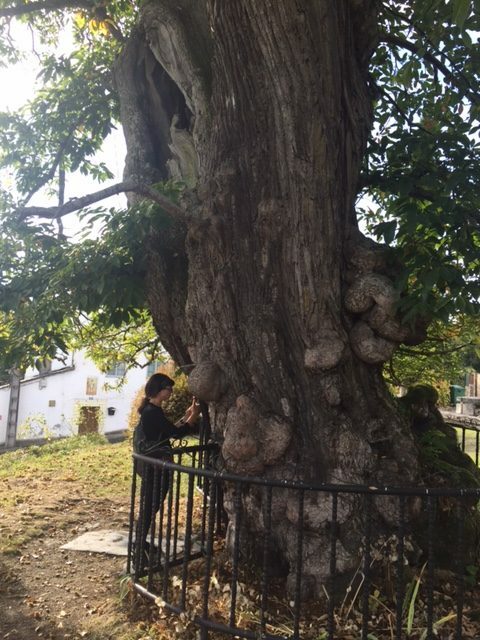 The town’s most famous feature is the 700 year-old chestnut tree that was carved – on the inside – by a local artist to keep it from being cut down.